A.V.M. 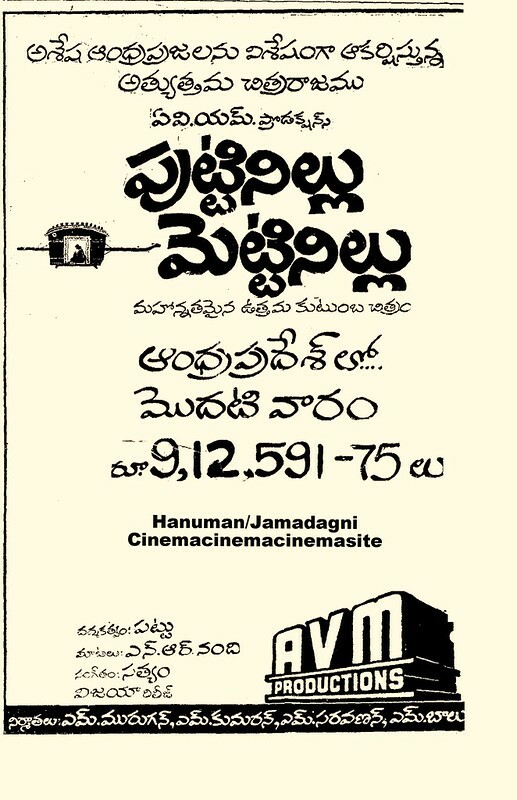 Productions’ “Puttinillu Mettinillu” (1973)! “Puttinillu-Mettinillu” has an enduring appeal because of its fantastic theme and a great star cast. It collected Rs 9.12 lakhs in its first week from 38 theatres and eventually became of the biggest hits of the year. sodaraa meru audio cassette covers kuda petta aalochna vundha. Konni unnaayi sodaraa naa daggara. Mee dagaara unnaayaa? Untee pettocchu.